CLEMSON, S.C. – The Tigers are ranked No. 1 in the nation in the initial 2015 College Football Playoff poll, released Tuesday evening. It marks just the third time in history Clemson has been No. 1 in an in-season major poll. The Tigers were ranked No. 1 for the final two polls of the 1981 season. Clemson is ranked No. 1, followed by Louisiana State, Ohio State and Alabama. Notre Dame is No. 5, followed by Baylor, Michigan State, TCU, Iowa and Florida. The Tigers face Florida State, ranked No. 16 in the College Football Playoff poll, Saturday at 3:30 p.m., at Memorial Stadium. The Tigers are 8-0, including 5-0 in the ACC. Clemson’s resumé includes a 24-22 win over Notre Dame on October 3, the only victory this year by a current top-five team over another current top-five team. Clemson is ranked No. 3 by Associated Press and No. 5 by the coaches this week. The Tigers have won 11 consecutive games over two seasons and 17 of the last 18 contests. It is Clemson’s longest overall winning streak since the 1980-81 seasons, when the Tigers won 13 games in a row over the 1980-81 seasons. Clemson won the national title with a 12-0 record in 1981. This year’s Clemson team has shown a strong performance on offense and defense. The Tigers are 11th in the nation in scoring offense (40.6), 19th in total offense (485.1) and 13th in passing efficiency. On defense, Clemson is fifth in the nation in total defense (278.1), 11th in passing defense (169.0) and 14th in rushing defense (109.1). Clemson leads the nation in third-down conversion percentage defense (21.2) and first downs allowed (104). 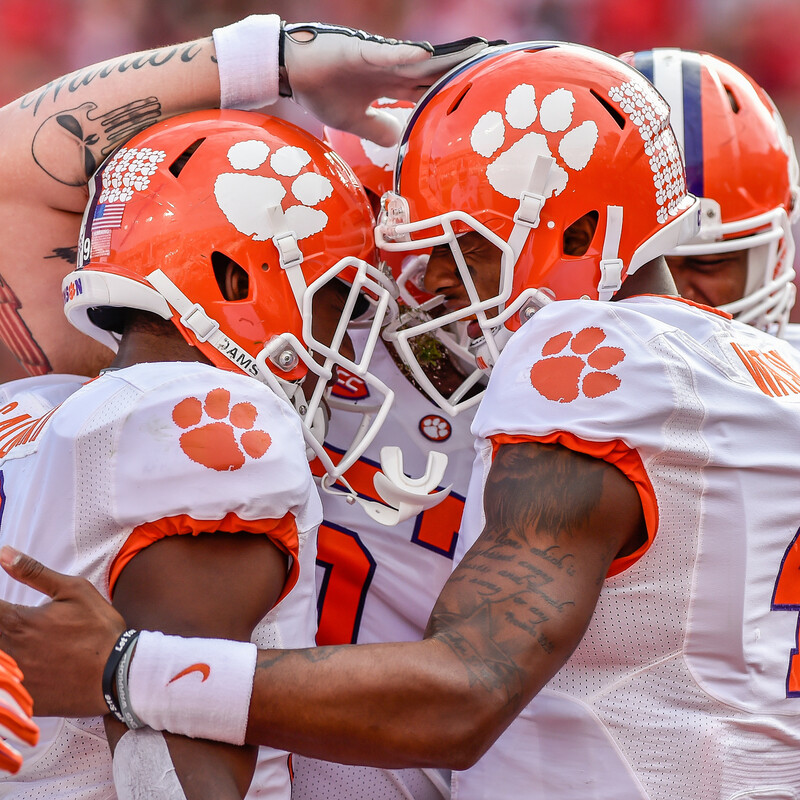 Clemson was ranked in the top 25 of all eight College Football Playoff polls in 2014, including a high of No. 17 in the final poll that was released on December 7. Swinney is pleased with the ranking, but he is clear that this is just the first poll of the process. The teams that will be chosen for the playoff by the 12-member committee will be announced on December 6. “It is an honor to be ranked No. 1 and it shows we have had a very good year to this point,” said Swinney. “But anyone near the top of this poll today should not throw a party and no team should be down in the dumps because they aren’t ranked high. Ohio State was No. 16 in the first poll last year and won the national championship.